Don't spend your time squinting and straining your eyes, trying to read miniscule text in bad lighting. The LED Lighted Adjustable Desktop Magnifier makes reading the smallest text, in even the worst lighting, a breeze. The LED Lighted Adjustable Desktop Magnifier (MAG05) features a switch lighting feature, simply twist the rim around the lens to turn the lights on, or off. 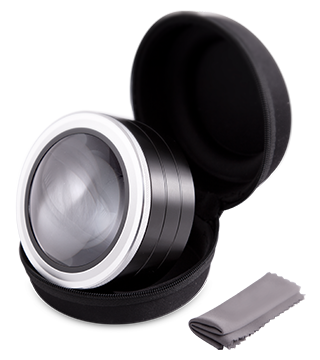 The lens features a 5X magnification, which can be increased by simply twisting the frame upwards, it becomes a 6.5X magnification. With three (3) super bright, LED lights, the MAG05 enables you to read small text, or see fine details regardless of the lighting.